In Commonwealth v. Jones, the Supreme Judicial Court affirmed the defendant’s first-degree murder conviction and ruled that the imposition of a mandatory sentence of imprisonment for life without the possibility of parole on a developmentally disabled person does not constitute cruel and unusual punishment. The background was as follows. The defendant killed the manager of the restaurant where he worked by stabbing and beating her. At trial, the defense was that the defendant was not criminally responsible. “The … consensus of all the experts who testified at the [numerous] competency hearings [in this case] … was that the defendant suffer[ed] from … ‘pervasive developmental disorder not otherwise specified,’” “a variation of autism.” There was evidence that “the defendant contracted spinal meningitis when he was six months old,” “which resulted in permanent, organic brain injury.” The defendant “demonstrated significant impairment in language processing and verbal communication…. He … had difficulty in interacting with people, was bullied as a child because of his lack of social skills and inability to communicate, and exhibited outbursts and uncontrollable behavior as a child.” Upon the return of the jury’s verdict of guilty of first-degree murder, the judge sentenced the defendant to life in prison without the possibility of parole. On appeal, the defendant “argue[d] that a mandatory sentence of life in prison without the possibility of parole, imposed on a developmentally disabled individual, constitutes cruel and unusual punishment in violation of” the Eighth and Fourteenth Amendments and art. 26 of the Massachusetts Declaration of Rights. In its decision, the SJC stated, “The defendant asks that we extend the United States Supreme Court’s holding in Atkins v. Virginia, 536 U.S. 304, 321 (2002), that imposition of the death penalty on a person with an intellectual disability violates the United States Constitution, to imposition of a mandatory sentence of life in prison without the possibility of parole on defendants with developmental disabilities.” The Court noted that “[i]n support of this argument, the defendant relies on [various other] cases from the United States Supreme Court,” including Miller v. Alabama, 567 U.S. 460, 470 (2012), which held “that a mandatory sentence of life in prison without the possibility of parole for juveniles who commit murder is unconstitutional…. We have extended the Court’s holding in Miller … in deciding that even the discretionary imposition of a sentence of life without the possibility of parole on juveniles is in violation of art. 26. See Diatchenko v. District Attorney for the Suffolk Dist., 466 Mass. 655, 674 (2013), S.C., 471 Mass. 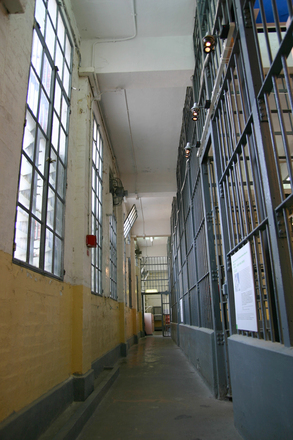 12 (2015).” However, stated the SJC, “[a]t this time, we decline to extend Atkins … and Miller …, either to eliminate sentences of life in prison without the possibility of parole for people with developmental disabilities or to require that such sentences be discretionary rather than mandatory.” In the Court’s view, the “concerns [expressed in Atkins regarding the special vulnerabilities of intellectually disabled persons] are less extreme … when an individual is facing a prison sentence, even when it is life without parole, than when an individual faces the death penalty. Although the Court’s decision is disappointing, diminished capacity is still a mitigating factor and should be presented as such throughout a defendant’s case – prior to trial in conferencing a possible resolution with the Commonwealth and assessing a possible motion to suppress, during the trial as a possible defense, and/or after trial at a sentencing hearing. 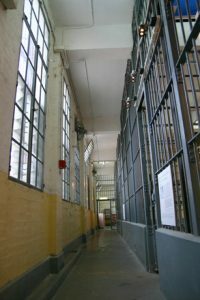 If you or a loved one is charged with a criminal offense and have been diagnosed with a mental illness or developmental disorder, it is of the utmost importance that your attorney be aware of such issues, explore the ways in which these issues could help in the defense of the case, and be ready and able to present the issues to the Commonwealth, the court, and potentially the jury. Attorney Daniel Cappetta is an experienced attorney who has successfully advocated for many clients with mental health and developmental diagnoses. Contact him for a free consultation so he can help you get the best possible resolution in your case.